Each team must supply one qualified water referee. 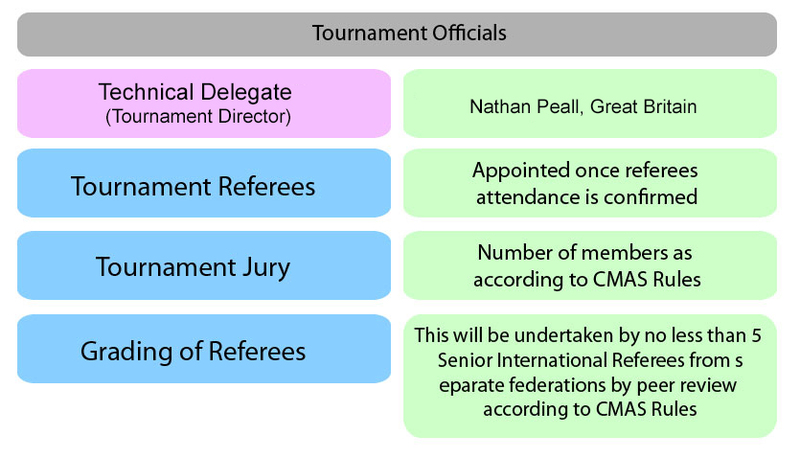 The tournament needs 20 suitable water referees to successfully officiate 2 matches at once. All Referees must pass the referee in water beep test to be considered for assessment at the start of the tournament in Castellón de la Plana. Deck only referees are welcome to attend however Deck Referees will be graded and feedback given but no referee grading will be provided as all criteria will not be assessed.